While chatting to a lovely friend and avid supporter of our charity, Kelly very kindly offered us the chance to raffle off this amazing voucher. 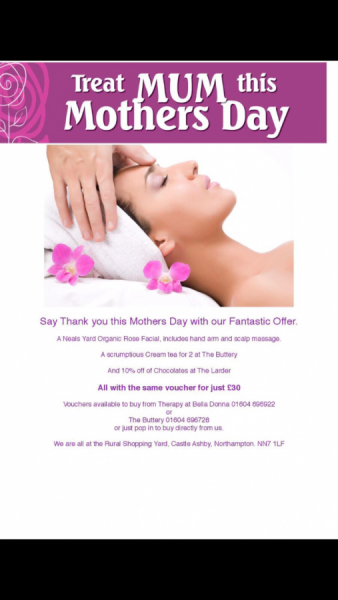 For just £1 per entry, your name will go into the draw for the chance to win this amazing vouchers for you, your Mum or any other special lady in your life. Don’t hesitate get in touch now events@thelighthousecentre.org There is no expiry date on the voucher, so we will run the draw for a week.